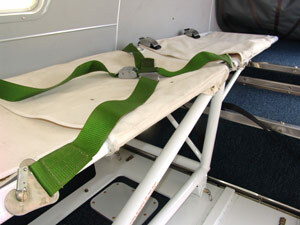 In collaboration with the Government of Montserrat (GOM), Fly Montserrat has an air ambulance stretcher kit fitted to its Islanders. Residents of Montserrat will now have access to 24 hour emergency medical care and peace of mind. Flights can be made to Antigua, Guadeloupe, San Juan, St Croix, St Thomas, Trinidad and Barbados. 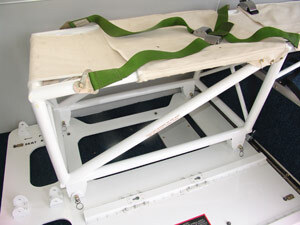 As far as can be assessed, no other small aircraft has an approved stretcher fit anywhere in the region, especially with the capability of landing on small runways. © 2013 Montserrat Airways Ltd.